Provide pain relief from plantar fascitis, ankle tendonitis & neuromas. Improve biomechanical alignment of the lower extremities. Address associated symptoms from back, hip & knee. Orthotics are made to correct foot alignment with stance, walking, running and sport activities. They are composite inserts that fit into your shoes. Various types can be fabricated depending upon your activities, needs and the shoes you wear. Improved foot alignment can promote proper biomechanical alignment of the lower extremities. Thus, reduce dysfunctional movement patterns of the spine, pelvis and hips. Casting of your foot is completed at STAR The cast is then sent to an external lab for fabrication. 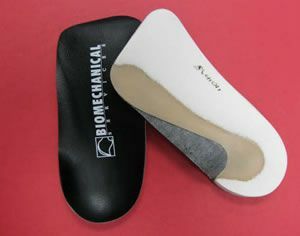 STAR will consult with your insurance company to determine coverage for customization of orthotics. Some insurance companies cover 80-100%. Without insurance coverage, the first pair of customized orthotics will cost $375.00. If you would like a second pair of orthotics, the cost will be $200.00.